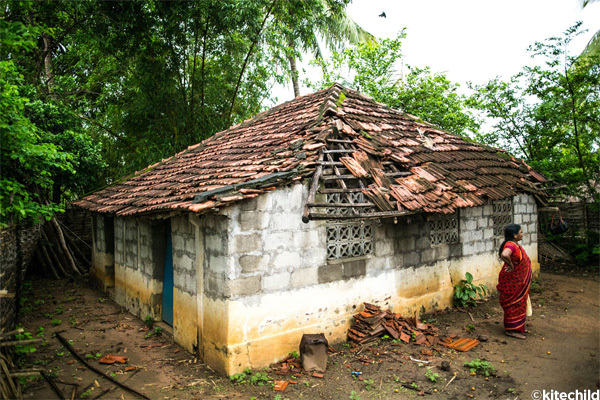 Welcome to the Family Home, where we’ll be running a water purification project. We are currently working on a water purification project at the Welcome to the Family Home. Jacqueline will be visiting the home, as well as meeting with the surrounding community to see how they will be involved in the project. This project involves setting up the home to purify the water from their borehole, through a reverse osmosis process. The water will then be bottled into reusable containers and sold to the middle-class community that surrounds the home. 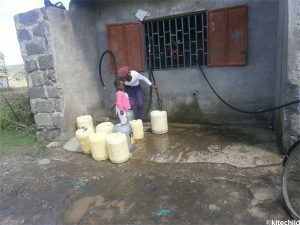 The 44 children living at the home will now have access to their own clean water and the income generated through selling the water will pay for additional long-term staff. As many of these children come from abusive or traumatic backgrounds, the hiring of caretakers and social workers will be very important to the proper care of these children. Check out the project here. And stay tuned from live updates from Jacqueline, including her visit to a reverse osmosis treatment plant to show us the ins and outs of this innovative process. The greenhouses and crops at the Fiwagoh Home. Jacqueline will also be checking in with our greenhouse projects, while in Kenya. We have two greenhouse projects already up and running, at the Fiwagoh and Watoto Wema Homes. She will also be visiting the St. Catherine’s Home, where we are currently fundraising for a similar greenhouse project. This greenhouse project benefits 43 children living at the home in Nairobi. 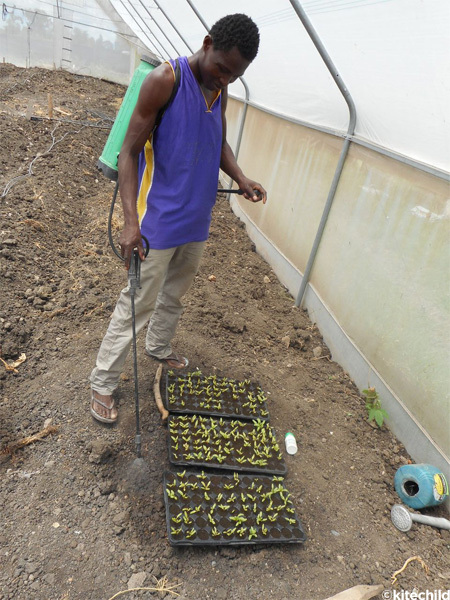 The vegetables grown at the greenhouse will first go to the kids to supplement their diets. The excess will then be sold in the markets and the income generated will pay for the school fees of the older children and to hire a social worker, who will help reintegrate the children back into the community. Learn more about this project here and check out our live updates from the home in the coming weeks. The children at the Good Samaritan Home, receiving the LED bulbs. Another home that Jacqueline is looking forward to visiting and updating you on is the Good Samaritan Home, located in the Soweto slums of Nairobi. We recently switched out 44 traditional light bulbs at the home, for LED lights. With the money saved on electrical costs, the home has been able to hire an additional caretaker for the infants and children at the home. We’re really proud of the change these light bulbs have brought and are looking forward to their bright futures. With all of our projects, we’ll be keeping you posted with live updates, live videos from the field and more photos! We’re looking forward to checking in with you from Kenya! 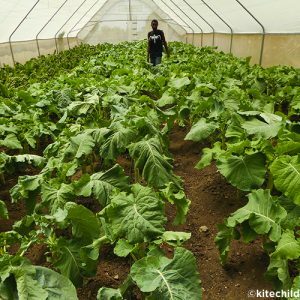 Our greenhouse project in Kenya is expanding! The greenhouse workers are now planting even more produce, in addition to what they currently grow: tomatoes, lettuce, spinach, kale and onions. 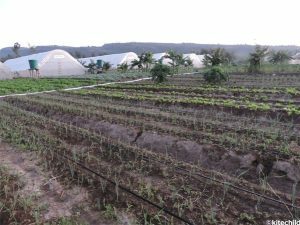 From those vegetables, they have generated nearly $6,000 by selling the produce they grow- income which has been reinvested into the farm, keeping it sustainable. They have installed irrigation drips, which is even more eco-friendy and creates more productivity for less cost. They’re also working on opening a grocery stand on the highway to bring in even more funds! As the farm continues to progress, the funds the greenhouses generate pay for the education of the older children living at the Fiwagoh Home. 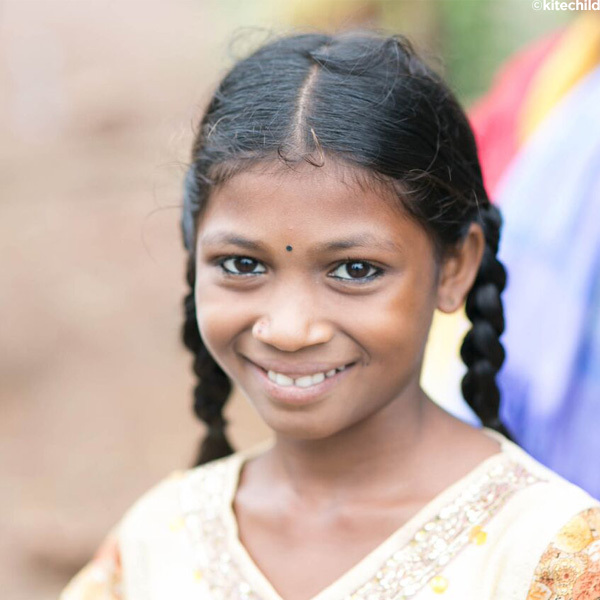 In addition to being provided with fresh vegetables everyday, the older kids can also have their schooling fees covered. Let’s keep planting the seeds of nutrition and education! We have an exciting new project we just launched: Water Purification in Kenya! This income-generating project is happening at the Welcome to the Family Home, where 44 children live. Through a reverse osmosis water treatment plant, the home will treat water from their own borehole, which has already been approved for quality and safety by the local Water and Sanitation Services. Since the home is situated within an upper-middle class community that has a high demand for purified water, there is a huge potential for income-generation, which will be used to pay the salaries of caretakers and a social worker. This is real change in action! To be a part of this project please click here. Some of the 36 children benefitting from the solar project. The first thing most of us do in the mornings and the last thing we do at night is flip a switch. Yet, we very rarely put much thought into how much this modern convenience improves our lives. With the flip of a switch we can eat, read, walk to the bathroom at night and put to rest our fears if we hear a strange noise. For 36 children in Rajamundry, India, this is something they’ll be able to have for the very first time. And some added bonuses? It will be through the sustainable energy of solar power, so it won’t negatively impact the environment. Additionally, since the home doesn’t have electricity, they can save the money they would be spending on having traditional electricity installed and on those monthly electrical bills. And those savings can get passed onto providing the children with the best care, access to nutrition and educational needs. The exterior of the children’s home. This year, we were fortunate enough to visit India and the LAMP home for the second time, where these kids live. One thing we realized is that the home was in need of some repairs, which they could not afford. One of the things they needed was to have their roof reinforced. The good news is that the roof construction is now complete, thanks to a private donor working with Kitechild. The roof is now strong enough to support the solar lighting installation, which means that the children will now have a better roof to live under, as well as electricity. Construction is underway at the LAMP home. The lighting installation consists of a total of six lights- three indoor and three outdoor lights. The indoor lights ensure that the kids will be able to do schoolwork during the evenings, which will improve their learning and potential performance in school. We all know how important education is to future opportunities, and the indoor lights can be a stepping stone to helping these children break the cycle of poverty. The outdoor lights are also really important, as they will keep the home safe and secure after the sun sets. The home is located in the northeast jungle of Andra Pradesh, near Rajahmundry. The area around the home has snakes and other potential hazards, so the safety of the children will improve with the outdoor lights and will help to eliminate injuries by improving visibility. One of the children living at the home. Here’s a little background on this home, as there are often misconceptions and misinformation about children’s homes. 36 children reside at the home, 20 of whom are true orphans, in the sense that they have no parents to care for them. The other sixteen are children whose families are living with extreme poverty, which makes it difficult for them to provide for their children. 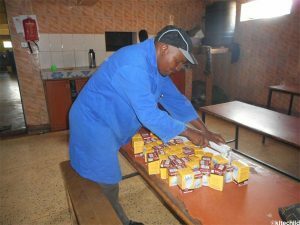 Through the home, the children have three meals everyday, are able to attend school and are under the care of long-term caretakers, who live with them at the LAMP home. The families of these children visit them whenever they are able. 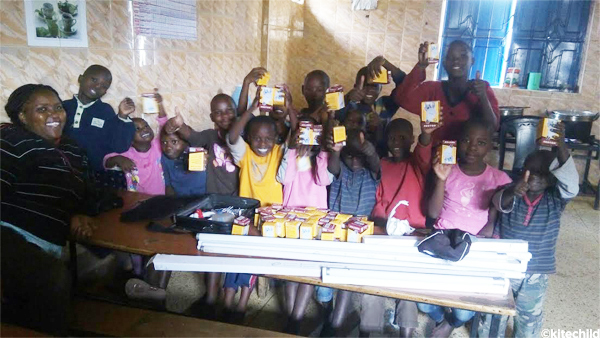 We’re hoping through this solar light project that these children will be one step closer to rising above poverty and will one do be able to provide for themselves and their families. 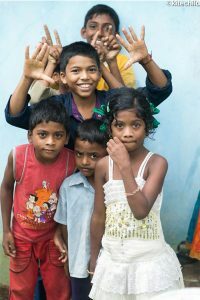 Some of the children living at the LAMP home in India. Greenhouses are something you may not think much about… especially when it comes to promoting social justice. 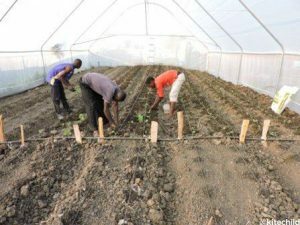 But, in many parts of the world where food and finances are scarce, greenhouses can provide a sustainble food source, as well as income generating opportunities. These small glass buildings are designed to optimize plant growth and grant communities access to fresh produce throughout the year. We’ve created several greenhouse projects in Kenya, which have been successful in providing vegetables and generating funding for children, and we’re currently setting up another one. Here’s our greenhouses being installed in Kenya. Nearing harvest time with the tomatoes grown at the greenhouse. 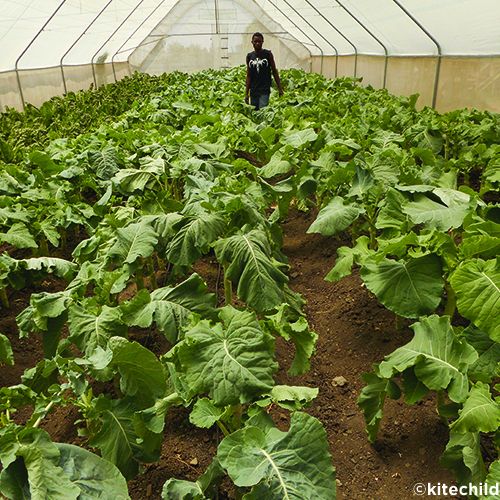 In Nakuru, we installed six greenhouses, which grow lettuce, cabbage, onions, kale, spinach, green peppers, and red beets. By growing their own fresh produce, this children’s home has been able to save thousands of dollars that was normally spent on food costs. Some of that money has been reinvested into the project, through the implementation of a drip line system. The drip lines save water waste, as well as cost and time from the gardeners. Through selling the extra vegetables in the market, they’ve also been able to purchase cooking charcoal for the meals of the over 200 children who live at the home. The plants are flourishing at our greenhouse. 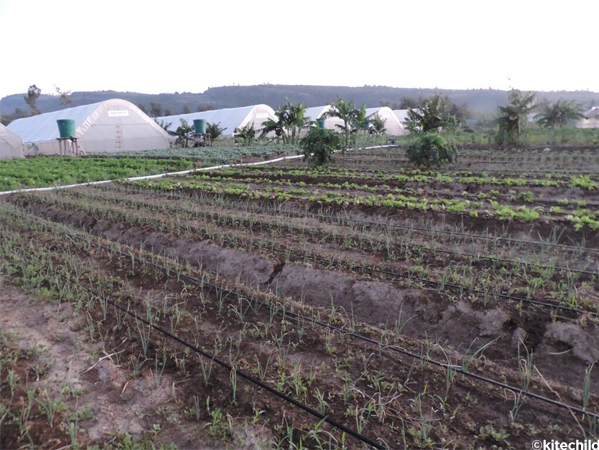 We also setup a greenhouse project in Nairobi, which has been producing thousands of pounds of vegetables. 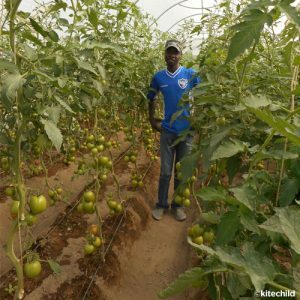 Among the varieties of produce grown are lettuce, tomatoes, kale and spinach, all of which go first to the 57 children who live at the home benefitting from the greenhouse. After that, the surplus produce is sold in the markets and the profits then cover their educational costs. 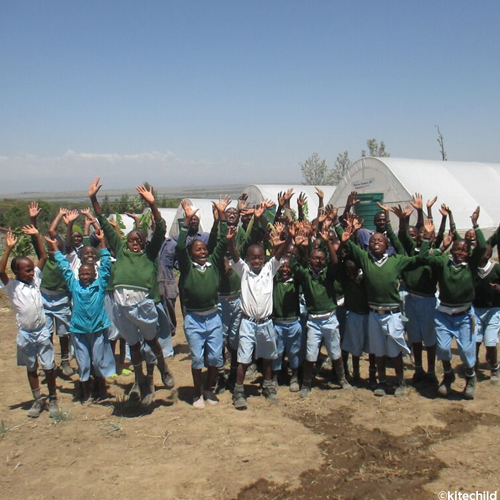 In Kenya older children have to pay school fees to continue their studies… and with this greenhouse, these kids can! 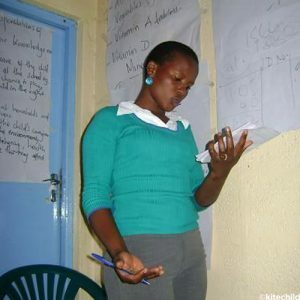 A teacher at the home educating the children in Nairobi. At another location in Nairobi, we’re working on a greenhouse project that will provide food for 43 children. Like the other greenhouse projects, this one will first guarantee access to fresh, health vegetables to the kids everyday- something many of us take for granted. After that, the excess produce will be sold for profits, which will guarantee the children’s education. Also like our earlier projects, this greenhouse is environmentally friendly, and sustainable, as the income generated covers the cost of maintenance and gardeners. Find out more about this upcoming project and how you can be a part of a green revolution that puts food on the table and keeps kids in school. Today is Earth Day, a day to open up some very important conversations regarding the responsibilities and commitments we all have to take on, for the future of our planet. From solar panels to aquaponics, we are working to make sure that our projects not only help children, but help care for planet Earth. In Honduras, we have an aquaponics project. Aquaponics is a sustainable food system, which uses traditional aquaculture (the raising of fish) in combination with hydroponics (raising plants in water). By raising tilapia in a symbiotic environment that also grows vegetables in the water, a complete sustainable ecosystem is formed… as the farm breeds tilapia while the veggies grow in the surrounding pond, and the pond then fertilizes the farm. And aquaponics uses only a fraction of the water that traditional farming uses! 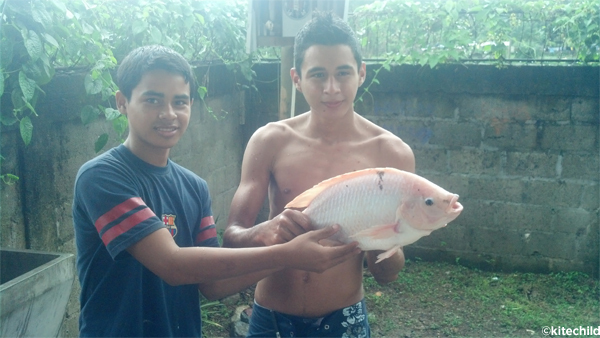 Learn more about how we feed 27 children fish and produce in a sustainable way. In Kenya, we recently replaced over 40 traditional light bulbs with LED bulbs. Did you know that by simply switching to LED bulbs, you can save over 90% of a current energy bill. LED bulbs also last 20 times longer than normal light bulbs, which means less waste and less pollution from the manufacturing, packaging and shipping of light bulbs. In addition to helping the environment, this project also saves money, on energy bills which goes towards the improving the quality of life for 70 children. Find out how these eco-friendly lightbulbs are changing lives. Also in Kenya, we have two greenhouse projects and have another in the works. Greenhouses are a great way to grow plants all year round, without using electrical heat. By growing your own vegetables, you cut down on the pollution caused by transporting produce to supermarkets. Also, by not using harmful, polluting chemicals, we can keep feeding children without harming Mother Earth. Check out our latest greenhouse project. We will continue to create sustainable projects and to honor our mission of caring for the environment, while working to improve lives around the world. How are you going to go green today? 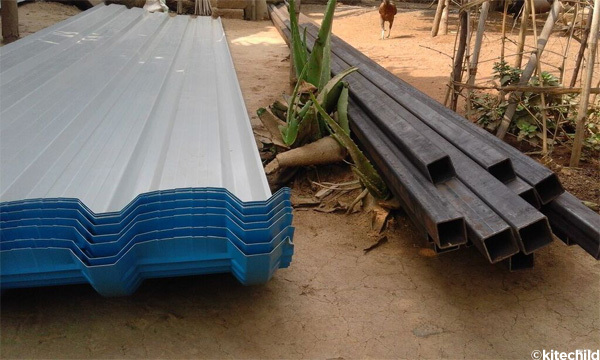 A while back, I wrote about how excited we were about our partnership with Engineers without Borders, an organization comprised of professional engineers who provide low cost or pro bono services to organizations doing development in the field. Since we take on some really diverse, and often fascinating projects (aquaponics farms, greenhouses, water purification, etc. ), I knew that we would immensely benefit from having an expert weigh in and give us feedback. When you are dealing with different vendors across the world, jumping through language barriers, time zones, foreign currencies, and cultural practices, developing a project can get super complicated, super fast. 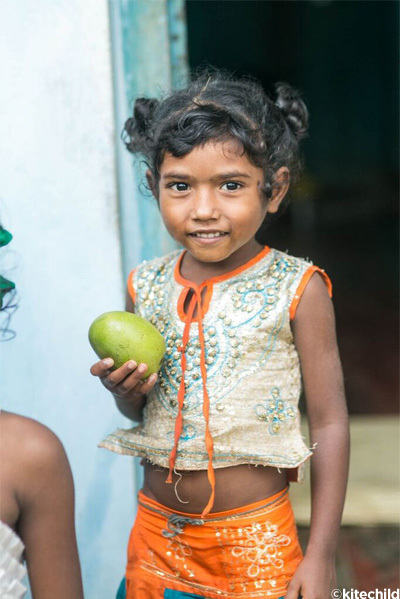 One day we have to know everything about the life cycle of Tilapia, and the next day calculate how fast we can get six greenhouses to provide a daily serving of fruits and vegetables to over 200 children at a partner home. And let’s not even get started on calculating the energy use of a partner home in watts, and dividing that by the hours per day and multiplying it by the cost of kw/h…I lost myself there too! This is where EWB comes in – we have a dedicated engineer who is able to provide us feedback and guidance on everything from the most trusted vendors in the field, to making sure we are considering all aspects of a project before we sign any contracts, to even helping us decide whether the project should exist at all. Our latest foray in development was a solar panel installation at the Good Samaritan Children’s Home, located in the Soweto slums of Nairobi. 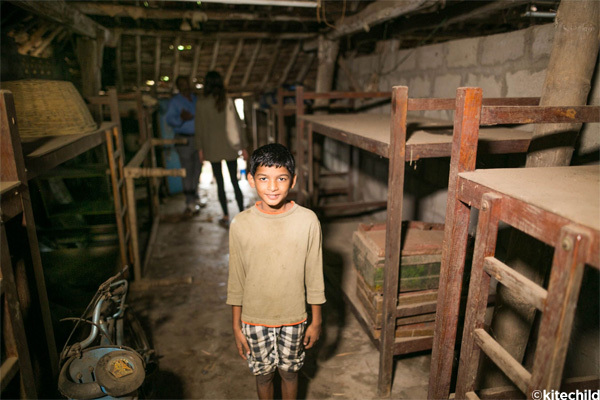 The home provides refuge to over 70 children, most whom are babies that were abandoned in the slums. 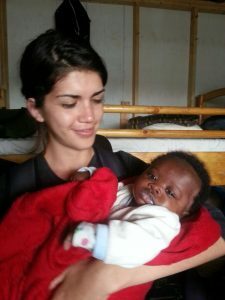 With nowhere else to go, and not enough support from the government’s social services department, the home is crucial to these infants’ survival. Babies are expensive – as I learned recently when I became a mother to my 11-month old daughter – so we brainstormed a way to eliminate some costs for the home so that they would not be under financial strain and could divert what funding they have to hire a social worker, who could facilitate the adoption of some of the infants. Energy was a big cost in the home, so we immediately thought a solar panel installation would work. 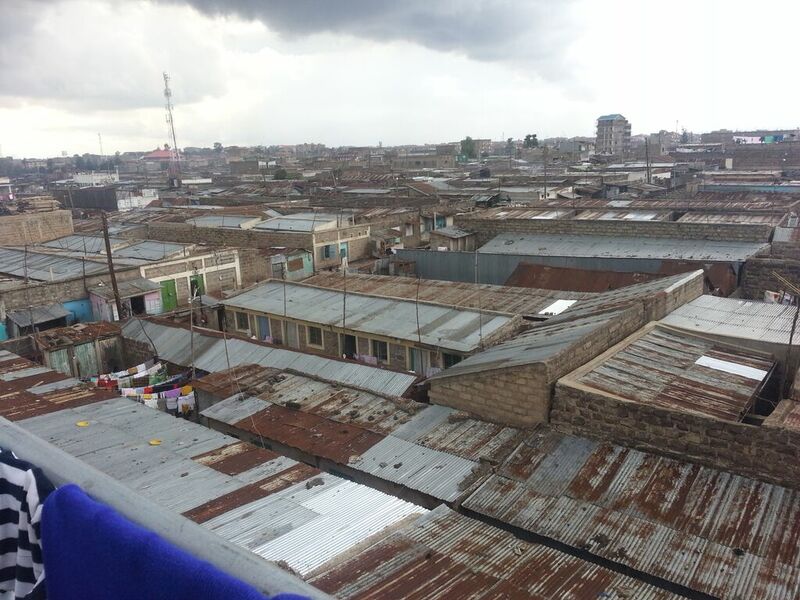 The home had a large open roof and we began the process of researching solar panel vendors and partners in Nairobi. The cost was upwards of $8,000, which seemed about the right price range. We then asked our engineer to look over the proposal and give us the OK or make suggestions. Instead, he told us something very different, and very exciting. After looking at the energy use of the home, (which was done by compiling a table of all light bulbs, all appliances, their wattage, hours used per day, etc. ), he realized that we could actually almost eliminate the energy cost of the home by simply switching to LED light bulbs – something that would cost about $500 USD. Replacing the bulbs will reduce an estimated 90% of the current energy bills, and save us over $7500 for a project that simply was not necessary. Solar energy is important and it has its time and place, but the systems are also expensive, complex, and can be high maintenance, which is why we have moved ahead with replacing over 40 bulbs at the home, rewiring the electrical system to support this change, and providing backup bulbs for replacement. Now comes the monitoring part, which we’ll do for one year – monitoring the cost saved and how the home is able to use the funding saved to fund more important aspects of their mission – such as providing love, care, nutrition, and even reunification with families to their children. We remain grateful and fascinated by all that we learn through our projects, and all the time and guidance that our pro-bono volunteers and partners are willing to give, to make the world a better place for all. Whether you are giving your time, your money, or your knowledge, there is so much you can do to be a part of our mission. Learn more here. And I highly recommend you replace your lightbulbs to LED!